M-F: dawn - 10 a.m. and 7 - 9 p.m.
M-F: dawn - 10 a.m.; 12 - 2 p.m. and 7 - 9 p.m.
Group Speed Workouts are designed to help anyone wishing to improve their race pace and are open to anyone who has previous racing experience. Charlottesville Speedsters meets every Wednesday at 5:30 a.m. To receive weekly e-mail updates about the individual workouts, sign up online or send an email. Like Cville Speedsters on Facebook and follow us Twitter! Since 1993, The Charlottesville Track Club has guided 1,300 runners to a safe completion of a fall marathon or half-marathon of their choice. The program is designed to properly prepare runners of all abilities to complete their first long distance race or to improve on a previous effort. Each participant receives a personalized program tailored to match their individual needs, abilities and specific goals. The program is supervised by a coach, who has over 25 years of experience and each individual will be able to consult with this coach (for specific and personal concerns) throughout the training program. Now in its 24th year, the CTC Women’s Four Miler Training Program invites women ages 10 and older to participate in 11 consecutive Saturdays of grouptraining and coaching. Previous running experience is not necessary and walkers are welcome! This established program prepares you to run (or walk) in the Charlottesville Women’s Four Miler Race. Each week, experts provide information on women’s health and fitness. Great running information and tips included with your training program registration. 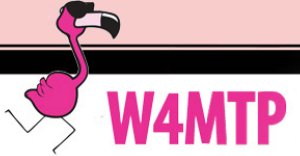 Visit www.w4mtp.com for up-to-date information! Every fall since 1987, the CTC kicks off its annual training program for the area’s granddaddy of them all, the Charlottesville Ten Miler. This professionally supervised program is designed to safely guide people of all abilities to their individual Ten Miler running goals. The goal of this training program is to guide each participant to a safe and successful completion of the area’s oldest footrace ad to make exercise a permanent part of each participant’s lifestyle. The overall group will break the trainers into 4 different program levels (based on folks individual current training regimens). First time runners and those wanting to get back into shape are encouraged to join us!